“Where are you headed?” The police officer asked me. ‘Well, I am aimlessly driving a borrowed car right now because I do not have an answer to that question,’ I thought. Very rarely am I pulled over by a police officer while driving. Of course, there has been reasonable speeding and occasional neglect of the blinker, but my driving record is spotless. Today, I drove too fast on a residential street, because right now, I’m nervous about moving slow. I quit my job. After five years as a waitress at SeaGrass Restaurant, I put in my notice. The restaurant supported me well throughout college, but the last few weeks left me feeling stuck. Nights serving late tables led to even later nights of wine with other waitresses. Serving others six days a week left little time to serve my ambitions. So I decided to give notice, and dedicate all of my time and energy to finding full time writing work. It is the September after graduating from college. The time has come to learn something new. “Kate loves to learn,” my father likes to say. So for now my schedule is wide open. My days are spent sending out resumes and helping my mother prepare dinner. It is pleasant, but I have a tendency to become anxious when faced with no productive, helpful, or meaningful work. Knowing me, I will not be in this position of idleness for long, but for the past three days, it is my situation. In a bout of restlessness this afternoon I borrowed my sister’s car while she was in class to run some errands. After visiting the bank and donating a bag of clothes, I treated myself to a small latte and a huge chocolate chip cookie, and took my snack for a drive along the ocean. Cruising down the shoreline guarantees calm. While enjoying my ephemeral moment of absent-minded existence, I saw the lights of a police car flashing behind me. I was being pulled over. The police officer, a young man, asked for my license and registration, which I dutifully gave along with a collection of PBA cards from the past five years. He surveyed my sister’s back seat, a mess of pizza boxes, beach towels, books, and coffee cups. I wondered if he would cut me some slack as my sister’s “Education for the Deaf” textbook was in plain sight. My big cookie was half eaten, still in my right hand. Honestly, I thought to myself, I am headed nowhere. 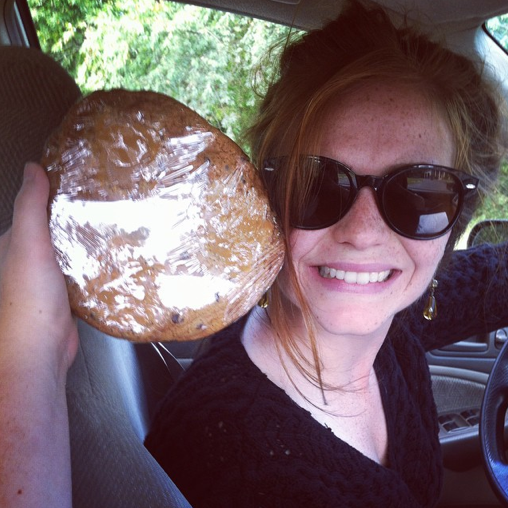 I am driving around in my younger sister’s messy Honda eating a gigantic chocolate chip cookie. I have no job to do and no class to attend. I am not a student of any institution, and I have no boss keeping tabs on whether I show up late or not. Today I am going nowhere. “Nowhere really. I’m picking up my sister later. 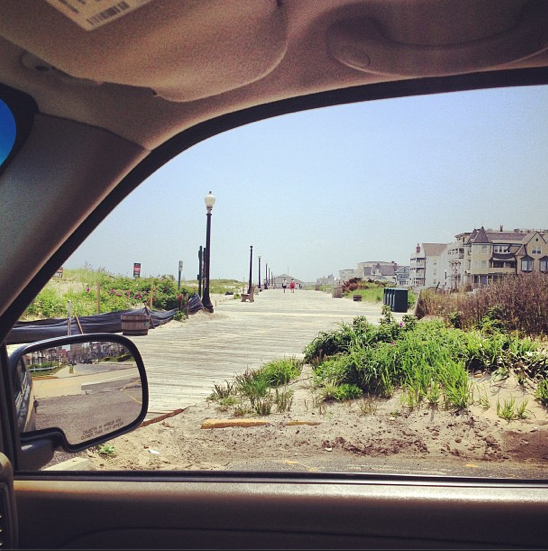 Right now I’m just going for a drive.” He glared at the backseat again before explaining his reason for pulling me over. Forty-five in a fifteen. “So where are you going, again?” I held up my cookie. “I am driving and eating this until I have to pick up my sister.” Glancing down, there were crumbs covering my sweater. While the officer ran my license, I considered my crime. The drive was a momentary escape that I took too fast. While I sped on the road I also raced frantically from a moment of deciding. I had recently graduated from college, and quit my dead-end job just days ago. This was not the time for escapes. Now would be the time for slow and careful consideration. Where would my next destination be? It was a question I could not speed away from. In parting, the officer advised me to “slow the hell down,” the best sentence I could have received.